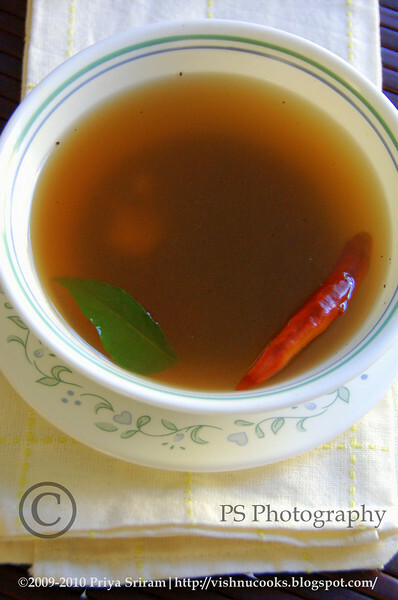 As I caught cold, I was asking for a remedy from my mom and she gave me the recipe for Pepper soup (Milagu Rasam). Its a quick fix and a natural remedy for cold. 1. In a pan, fry black pepper, cumin seeds and curry leaves for a couple of minutes without oil. 2. Let it cool and grind it to a coarse powder. 3. 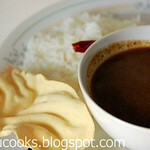 Boil 3 cups of water and add the powder, salt, red chilli, garlic, tamarind pulp(directly) and let it boil for 2 minutes. This soup can be served alone or with rice. Both works great. 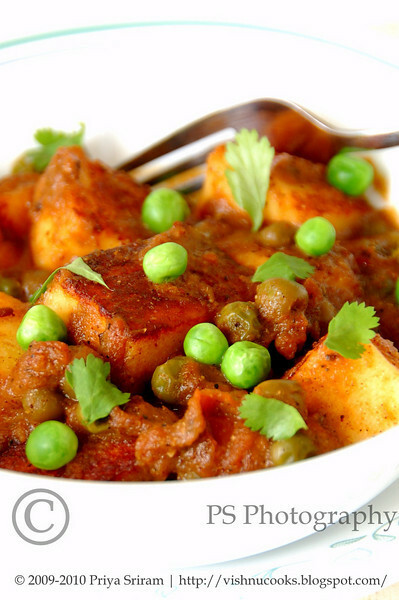 I prepared mutter paneer from one of my recipe books. My main motto was to take a nice picture because we had a sunny afternoon, and it inspired me to get out of the couch and cook. But when I finished cooking, it started to become dark unusually. I was so disappointed, but tried to take pictures with available natural light. I got a couple of good ones, I hope. 1. 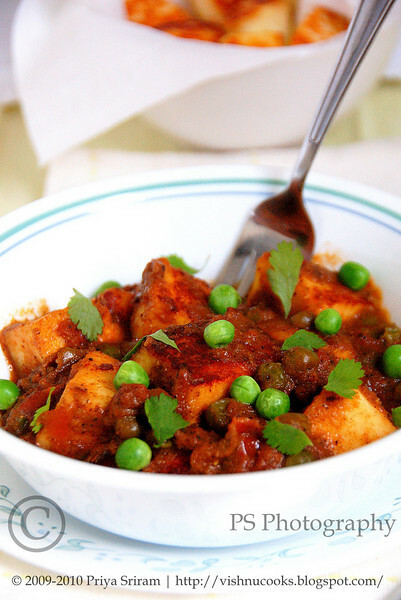 Heat 1 tsp of oil in a pan and place paneer cubes in a single layer on it. Fry till it turns into golden brown color and set aside. 2. Heat oil and ghee in the pan, add onion and fry till it turns golden brown color. 3. Add ginger garlic paste, tomato, chilli powder, daniya powder, turmeric powder salt and fry till the raw flavor has left. 4. Add peas and simmer for 5 minutes or until it becomes soft. 5. Add paneer cubes, cashew nut paste and stir for a couple of minutes. 6. Finally add garam masala powder and cumin powder along with 1/2 cup of water and stir for 2 minutes on medium heat. Keep an eye on the consistency of the gravy. Adjust it by adding water or heating for some more time. 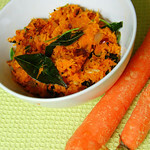 Very known, and well favored stir-fry for all ages and suitable for one of the Navrathri eves. 1. Soak beans for 8 hrs and cook in pressure cooker with salt for 3 whistles. 2. Grind green chillies and shredded coconut in a mixer grinder into a coarse powder. 3. Heat oil in a pan, and do tadka with mustard seeds, asafoetida powder, channa daal, urad daal, curry leaves and add the tadka to the beans. 4. 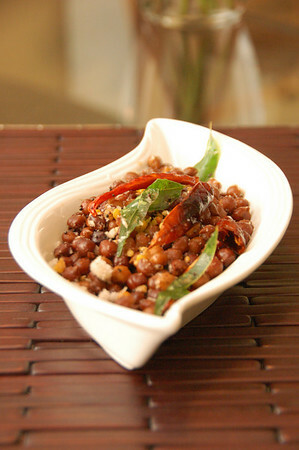 Garnish the beans with the coarse powder of chillies and coconut and also with chopped cilantro. There are some times, I want to just experiment with my camera, some lonely moments with food items. But not much importance on the recipe or the kind of food itself. 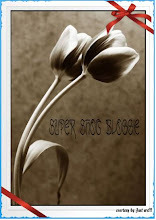 So I thought of allotting a page for such experiments, the Foto Feast. 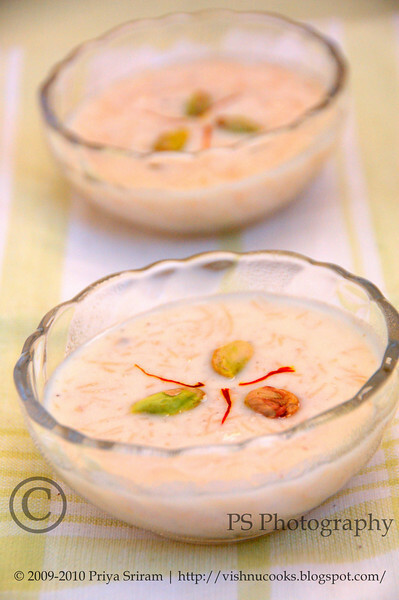 In this part of Foto Feast, I made Vermicelli Payasam with instant mix for Navrathri Pooja. The pictures may not be those of my bests, but still I'm learning. Another bean stir-fry for one of the Navrathri Eve. This sweet one is a little different from the usual beans and also a quick-fix. Kids would love this sweet stir-fry. 1. Soak the beans overnight and cook in pressure cooker with a pinch of salt for 3 whistles. 2. In half a cup of water, dissove the jaggery and bring it into a paste like consistency by heating it for a couple of minutes. 3. Add the drained beans to the jaggery paste and garnish with cardamom powder. 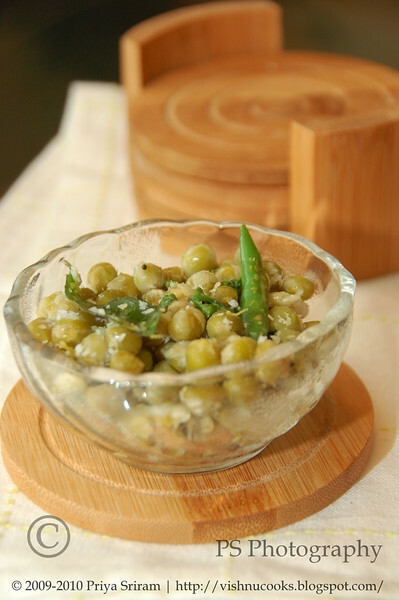 Channa Daal Stir-Fry is suitable for devoting to Lord Vinayaka. Its a very healthy and quick-fix snack too. 1. 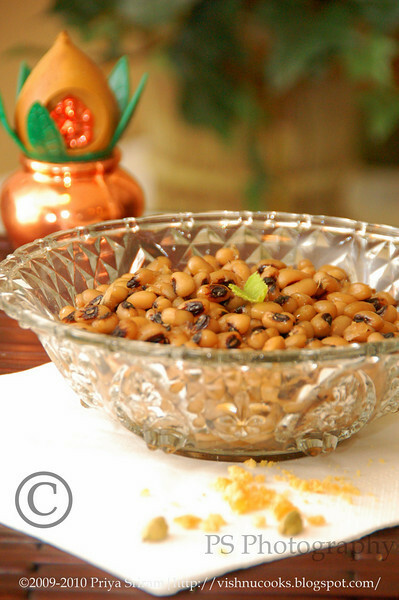 Cook channa daal in a pressure cooker with salt for 3 whistles. 2. 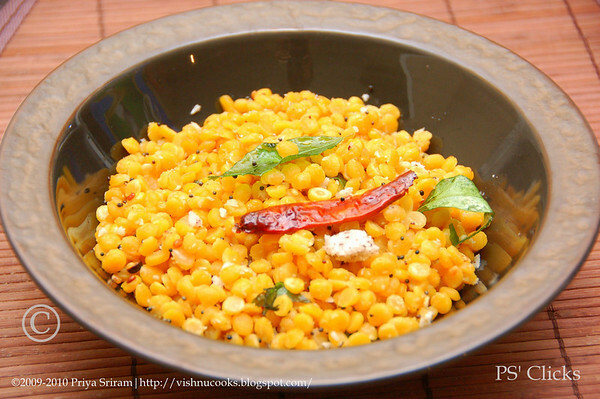 Heat oil in a pan, add mustard seeds, curry leaves, urad daal, red chillies, and asafoetida. 3. 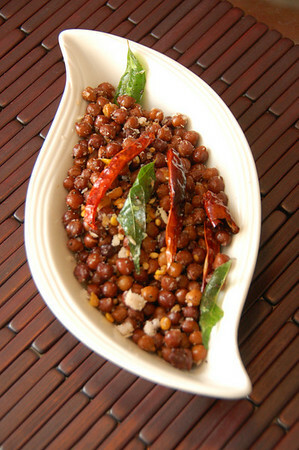 Add the drained channa daal to the tadka and garnish with cilantro and grated coconut. After a long break, I really wanted to post something in my blog. 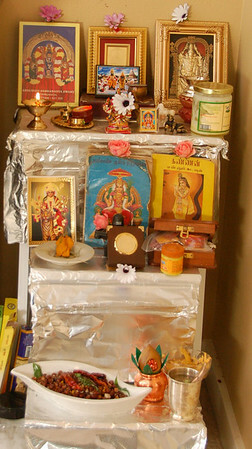 As now is the time for Navarathri special, I decided to post recipes for the prasadams for all nine auspicious days. 1. 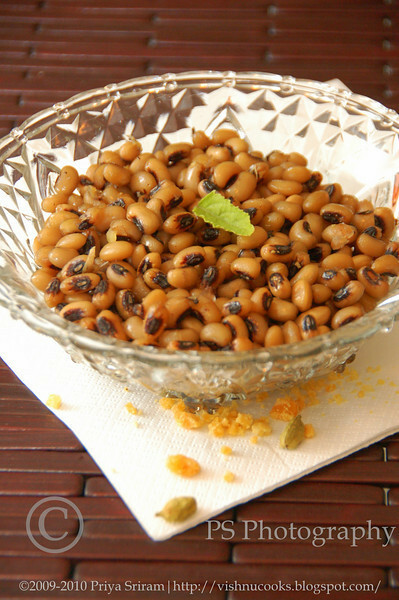 Soak beans overnight and cook it in a pressure cooker along with salt for 3 whistles. 2. 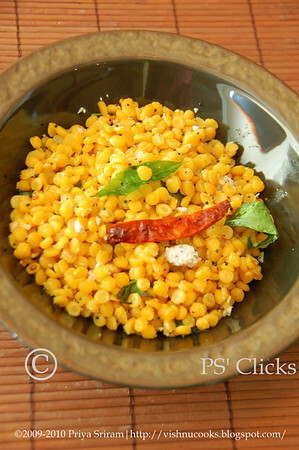 In a pan, heat oil and add channa daal, daniya seeds, 3 red chillies and coconut. Fry for a minute and grind it to a coarse powder. 3. Heat oil again in the pan, add urad daal, mustard seeds, red chillies, curry leaves, asafoetida powder and fry. 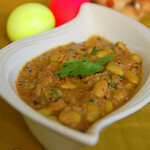 Add this tadka to the cooked beans along with the coarsly ground powder and stir nicely.